These are our most prolific orchids, occurring in big bright patches throughout the forest. 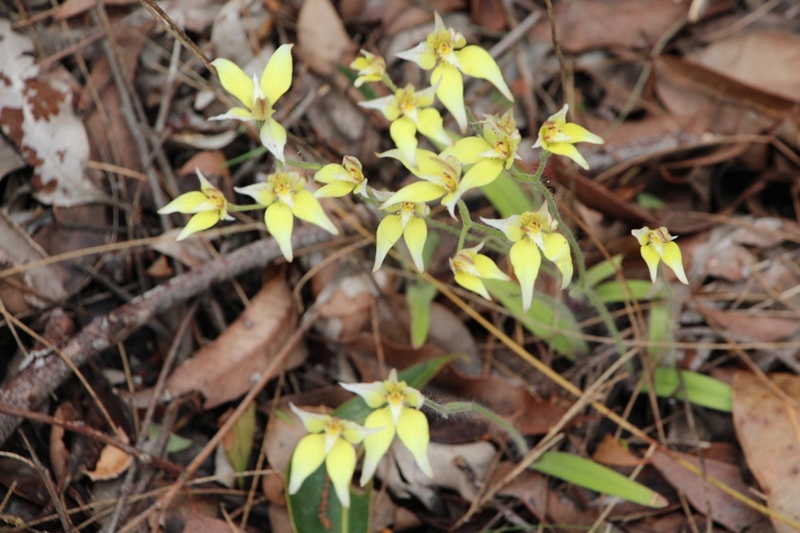 The Cowslip Orchid (Caladenia Flava) is one of the most common orchids in the south west of Western Australia. The orchid spreads by tubers as well as by seed, and interestingly all the flowers in a single colony will have have identical markings, but will be different from those in a different group.